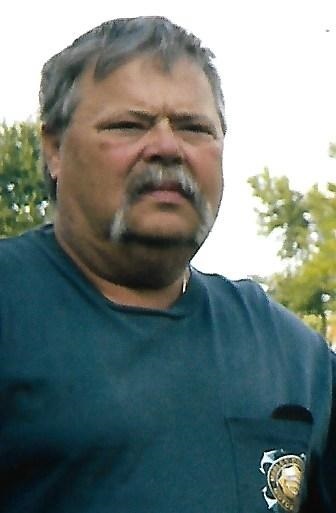 Dennis Dean Krugh, 69, of Ohio City, Ohio, formerly of Rockford, died Thursday afternoon, January 31, 2019, at Lima Memorial Hospital. He was born on March 13, 1949 in Celina, Ohio, the son of Buddy Jr. “B.J.” and Phyllis Joan (Caywood) Krugh. Denny was lucky enough to be raised by a lovely grandmother, Pauline Caywood, and his uncle Maurice Caywood, both whom he was very close. He was a graduate of the Parkway Class of 1967, and then enlisted in the U.S. Army, where he served in Vietnam. After returning from the service in 1970, he drove truck for the Rockford Stone Quarry, and later, worked at Chrysler in Van Wert. He then drove truck, for grain companies in the area. Denny lived here his entire life, except when he served in the Military, and he enjoyed the small-town life and all his friends. He was a member of the Rockford Glenn D. Eckhart Post #508 American Legion in Rockford, a member of the Rockford Shanes Aerie Fraternal Order of Eagles #1292, and the Eichar De-Curtins Post # 5713 VFW in Celina. Denny loved motorcycles and especially loved riding his Harley, and he always enjoyed a good laugh with his friends and family. Surviving are his wife Shirley (Roberts) Krugh; their 6 children: Joel Dean (Kathy) Krugh of Mendon, Larry “Timer” (Robin) Worden of Rockford, Donnie (Karen) Worden of Charleston, South Carolina, Mike (Laura) Green of Van Wert, Daniel Duane Green of Rockford, and Toni (John) Campbell of Fort Loramie, Ohio; 14 grandchildren and 6 great-grandchildren. Many nieces and nephews also survive. Denny has one brother, Ted (Pam) Krugh of Rockford, and one sister, Diane Krugh Hodge of Sumpter, South Carolina. Two half- brothers survive: David Allen Krugh of Newton Falls, Ohio and Gary (Trudy) Krugh of Levetsburg, Ohio, along with a half-sister, Sharon (Phil) Trammo of Braceville, Ohio.